Recently I’ve been binge watching Brooklyn Nine-Nine. I’m now into season 2 and I’m loving it. And I think one of the big reasons I like it so much is that the same producers made Parks and Recreation. Parks and Rec is my all time favorite show. Although some of the jokes can be crude, the chemistry of the cast after season 2 is just so perfect. Every single character can make me laugh, but in a different way. And Brooklyn Nine-Nine does the same thing. So, I thought it would be fun to compare characters in Parks and Recreation and Brooklyn Nine-Nine. Feel free to disagree with my choices and come up with your own, but here’s how I see it. Jake Peralta is the main character in Brooklyn Nine-Nine and he reminds me of Andy with his goofiness and child-like enthusiasm. However, Andy can also be naive and a bit slow, while Peralta is very smart and observant. So I’d say he could also have a bit of Ben Wyatt in him, especially in his love for nerdy things. Captain Ray Holt is very similar to Ron Swanson in his demeanor and straight face. He also has authority over all of the other characters like Ron does. However, Holt is gay while Ron Swanson is the manliest man around. Charles Boyle, Jake’s best friend, is a bit of an oddball. In some ways he is like Chris in Parks and Recreation, very enthusiastic and always looking on the bright side. But he is also very awkward sort of how Ben can get when he’s flustered. Sergeant Terry Jeffords is a very unique character. I want to compare him to Leslie Knope because they share the second in command role and he also cares deeply for his coworkers. But he has a soft side along with his buff exterior that reminds me of health-conscious Chris with his emotional breakdowns. Sorry I don’t have pictures for the rest of the characters, but I’m going to do them anyway. Amy Santiago is a lot like Ann Perkins, wanting to please others but also Leslie Knope in her enthusiasm and detailed organization. So I’d say she’s a mix of the two. Rosa Diaz reminds me a lot of April Ludgate in her don’t-care attitude and ability to confront others with the truth. Though more physical in her approach, she has a lot in common with April. Scully and Hitchcock both remind me of Jerry/Gary/Larry. All of these characters are looked down on by their coworkers, but just go on with life. They also all make stupid mistakes that are easy for other’s to make fun of, but have their own quirks that keep us laughing. And that leaves us with Gina Linetti. I’m not quite sure what to make of her. She’s a bit like Donna, with doing her own thing while at work. But while Donna never fails to treat herself, Gina cuts her own hair and is very thrifty. She’s also very crazy, like a whole lot of psychiatrists were fascinated by her in one episode. So I might say she’s a bit like Mona-Lisa too. Anyway, those are my thoughts so far. And if you like Parks and Rec and haven’t tried out Brooklyn Nine-Nine, I recommend it. Recently I’ve been watching a TV show on Netflix called Limitless. It’s based off the movie of the same name that came out several years ago. It’s been really good so far, so I thought I’d do a blog about it. If you like crime solving shows doused with a bunch of humor, this is a great show. It reminds me a lot of Psych but with a bit more maturity. Sean Spencer can be a bit egotistical and childish. He is funny to watch, but sometimes his antics can get a bit old. Also some of the Psych episodes become predictable. There were several episodes I can recall where they thought they knew who had ‘done it’ halfway through the show and then they discover that that character is dead too, so it couldn’t have been them. It’s still a great show, but I’m enjoying Limitless even more. Limitless centers around Brian Finch, who is an average guy that most of us can relate to in some way. He has his odd quirks and in some ways he can be childish and amusing. But unlike Sean Spencer, he has a deep love for his family and much of the plot involves his desire to protect his family. I think this makes Brian easier to relate to and in turn helps me enjoy the story better. However, Brian still has jokes and quirks that remind me of Sean Spencer. For example, he really wants a “Headquarters” at the FBI and when he finally gets an office deemed HQ, he fills it with pinball machines and margarita makers and anything he can find that is fun. The show’s plot revolves around the drug called NZT which originally came up in the movie. Brian Finch is allowed to take the drug in order to assist the FBI in cases and is secretly given an injection to prevent the drug’s side affects. So, for half of the time he is our normal, average, lovable Brian and for the other half he is super smart and able to solve cases and problems easily. It is very entertaining to watch and sparks the desire to be able to cope with life’s problems with a similar antidote. Even though NZT doesn’t exist, I’ve found myself wondering what it would be like if it did. It sure would be nice in some situations. And, as a Christian, I’m actually hopeful that one day I will get to experience something similar to it. Jesus promised that those who follow Him will live with Him forever and that He will give them a new body. All of the brokenness, disease and shortcomings brought on by sin will be gone and I have a feeling what we’ll be able to do in our new bodies will be amazing. 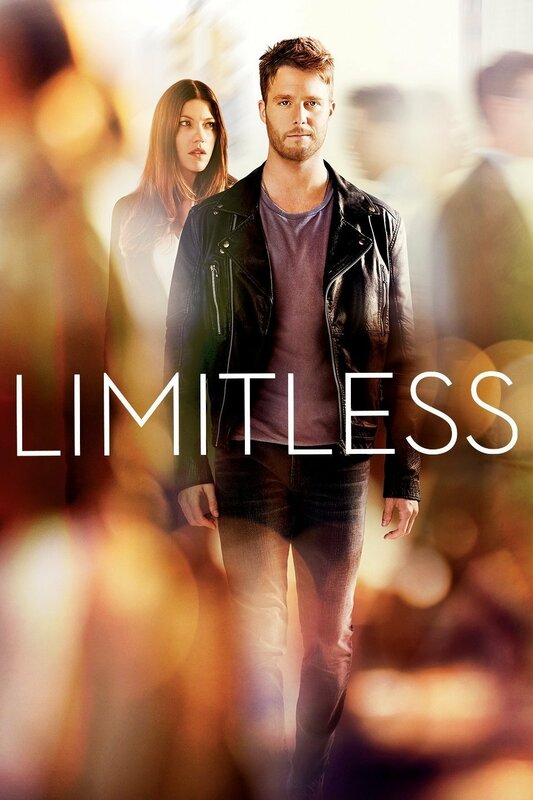 So anyway, if you’re looking for a new show to check out, I highly suggest Limitless. And if not, just know that any kind of superhuman ability can point us back to the hope we have in Christ of a better future and a new life that will be better than anything we can imagine. So if you don’t know, I’m a huge Parks and Recreation Fan. I enjoy the humor and the characters of the show a lot and I’ll often watch an old episode just for fun. One thing from this show that I thought was quite clever was a character creating her own holiday. She called it Galentine’s Day. And instead of going on a date with a guy, she hung out with all of her girlfriends and had a nice dinner and just enjoyed their company. Well this past Valentine’s Day, I found myself in a familiar situation with no romantic relationship to speak of. It doesn’t bother me too much, but since the day after Valentine’s Day was a holiday (President’s Day) and several of my friends were off of work, I decided to hang out with a few of them. It kind of turned into my own version of Galentine’s Day. First I got a manicure and pedicure with one friend, we talked and laughed the whole time and I really enjoyed the massages and how clean my feet felt after the scrubbing. Then I called another friend who lives a couple hours away and we just talked and talked for over an hour. And finally I went out to see Kung Fu Panda 3 with one more friend. Although we had trouble finding two seats next to each other that weren’t broken, we just laughed it off and enjoyed the movie. I have enjoyed all of the Panda movies in the past and this one was no exception. I laughed a lot and when we were done, we decided to get some dinner at Chickfila, where we saw a horse drawn carriage. We took our food back to my friend’s apartment and talked some more as we ate. Then I introduced her to one of my favorite older movies: Singing in the Rain. All in all, it was a marvelous day filled with laughter and happiness. Even though each activity was with someone different, I enjoyed them all. This day reminded me of how many deep friendships God has given me and that makes me very thankful. So even though I don’t have a boyfriend, I’m content with where God has me. I am not alone, my life does have meaning, and I can have a lot of fun with these girls. But more than that, I’ve been learning that all I have to be grateful for really comes from God. He created me, my friends, laughter, happiness, stories, humor, and everything that is good and He wants me to enjoy them and praise Him for it. When I express my gratitude to Him it helps me remember how much He loves me and how much He’s given me, and it makes me happy. So I hope your holiday weekend was full of happiness too and that you’re enjoying what God has given you. So because I don’t have cable, sometimes I don’t get to see the Finale of a show until weeks later than most people. But that’s alright with me as long as I get to see it eventually. Often with my favorite shows the finale is the best episode. Now not every show does a finale well and some shows don’t even get a finale, they just get canceled, which is horrible for people who really enjoy it. But in any case, this past week I saw the finale for one of my favorite shows: White Collar. And it was perfect! It focused on all of the elements of the show that I loved, the relationships, a cool con pulled off by Neal, and ultimately what I’ve waited to see for so long. If you haven’t seen this show, I don’t want to spoil it for you, but I would definitely tell you to check it out. All seasons are up on Netflix right now. Anyway, seeing the finale episode for White Collar made me think about all the other finales I’ve enjoyed and why I enjoyed them. As in many TV shows, there can be no real conclusion or ending during the normal running of the show. In sitcoms, characters may learn lessons during the course of the show, but they generally stay the same throughout the series, not experiencing real change. Otherwise the set up for the show might not work anymore. On the other hand, TV dramas often have a lot of changes going on but one thing that the audience is really rooting for, like a certain relationship to finally work out, or a problem to finally get solved, or a bad guy to finally get caught. Well the finale is supposed to finally give us those things it promises; the couple does get together, the world does get saved, the bad guy is dead or in jail. It’s the conclusion, the resolution, the ending. And it better be a satisfying one. But what about in real life. What’s my finale? What happens when my life is over? Do all the things I strive for get resolved? Is my ending going to be satisfying? Well I was watching a movie with my family last night called Heaven Is For Real. It’s based on a book which is based on a father’s account of what his 4-year-old son went through and described to him. All of it stirs up a lot of questions about life, death and what comes after. I think we can all agree that a happy ending is preferable to a sad one. The finales that end with giving us everything we wanted for our favorite characters makes us feel satisfied. But the ones where we get surprised with a death, or many deaths, feel wrong. That’s not what we wanted. Maybe it seems more realistic, but it’s not what I want to see. As a follower of Jesus, I believe what He said about my finale or my ending. I believe that whoever believes in Jesus has eternal life. John 3:16 “For God so loved the world that He gave His only begotten Son that whoever believes in Him shall not perish but have eternal life.” And I also believe that this life is part of it. My eternity doesn’t start when I die, I’m already living. I get to know Jesus now and grow closer to Him each day here on earth. But I also know that even when the day comes and I leave this earth, my story isn’t over. I do get an eternity with my best friend and Savior and I get to be a part of His family of believers forever. Having a happy ending is not something I have to worry about, I can know I have eternal life because I know Jesus. He is faithful, He is true, He is alive, and He keeps His promises. He has promised eternal life to those who believe in Him and I trust His promise. So I don’t know what you think about finales, about life after death, about Jesus, but maybe you should spend some time thinking about it today. After all everyone’s finale is going to come sooner or later. There seem to be more and more movies and TV shows about Christian topics these days. Recreating Bible stories has become especially popular in the entertainment industry. For example, “A. 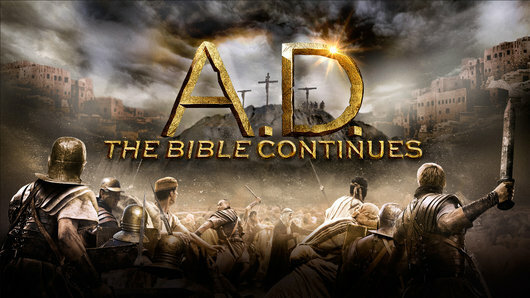 D. The Bible Continues” is a new TV show that has started quite recently. But recreating Bible stories is not the only Christian themed entertainment out there. There have also been a slew of Christian films coming out in theaters. One such film that I got to see recently was “Do You Believe?” As a Christian, or Christ follower, I thought I’d give my opinion on these most recent Christian entertainment pieces, and how we as Christians should react to them. I’ll start with A.D. Since Easter this new drama has been playing on NBC. It follows the stories of Christ’s disciples and what they had to face in the early days of the Church. The network picked the right time to start the series, launching the show on Easter Sunday, with the Resurrection of Jesus being the main focus of the first episodes. The 3rd episode showed last night. As a Christian, I was naturally interested in this show. I’ve read about the history of the early church in the gospel accounts and in the book of Acts several times, and I was excited to see how this TV show would portray it. But just as a movie can take liberties with it’s source material, (It seems like fans of books that were made into movies are never satisfied with the outcome), so this show can take liberties with the Biblical accounts. And I admit, there were a few instances when something was left out of the story. For example, in this most recent episode I was looking forward to seeing Peter give his sermon that brought thousands of people to believe in Jesus. In the Bible, this happened right after the Holy Spirit came, as a result of people asking questions about the disciples strange behavior. But this part of the story was skipped over in the episode, and instead the focus was put on Peter and John getting arrested in the temple. From what I’ve seen of this series so far, the focus is on how hard it was for early believers, and the trials they had to overcome. It also gives us a look into the Roman ruler’s life and how they viewed what was going on. And although it is enjoyable to watch, and much of the story is consistent with the Biblical account, you can tell that this is meant to be a drama. And just like any cop drama on TV, there are good guys, bad guys and action and adventure with the audience always left hanging, so they’ll want to watch more. I will probably keep watching this show with interest, and I think the quality of the plot line and acting is all nice and good. But in the end, this is a TV show, not God’s Word. So keep that in mind, and remember that the screenwriters have taken a creative license with their source material. Next, I’d like to talk about “Do You Believe?” Like so many other Christian films, this movie attempts to give a Christian message through the telling of a compelling story. It ties together the lives of several characters all with the focus of if they will choose to believe in Jesus and act on their faith. The movie was well made, the story compelling, and I liked the character development. I think the film had a good message; that Christian’s can’t just say they believe and then go on living however they want to, that it takes commitment to follow Christ. It can be an encouraging story to see played out. But in the end, it is just a story. The events did not really happen, and even though God is at work in our lives for real, we often don’t see things work out as nicely as it does in a movie script. So in conclusion, here’s a few things I think we should remember when watching Christian entertainment, whether it be a movie made by Christians, or by Hollywood, or even a TV show. 1. Always Come Back to God’s Word. Don’t base your faith on a movie or TV show. Base your faith on Jesus Christ and no other. He didn’t leave us a movie when he went back to heaven, but He did give us His Word, the Bible. Don’t take his gift lightly. Use it, and get to know Him for yourself. And make sure your view of God is shaped more by His Word, and a pastor’s teaching, than by the entertainment you watch. 2. Don’t let watching something become a substitute for doing it yourself. If can be easy to watch some compelling movie or show, get caught up in all of the emotions, and enjoy the thrill of it. But don’t confuse it, with real life. God didn’t just use the disciples in His work, He wants to use you too. It’s not enough for us to watch and clap when someone else does the right thing, we need to do the right thing in our life. And we need to keep doing it, even if things don’t work out the way we want, or we don’t get the happy ending that we expect. God’s plan is so much bigger than our own, so much bigger than a human writer’s script. We won’t get to see the Big Picture in our lifetime. Maybe we’ll get hints at it, little previews of how God is working things together for good. But even if we don’t see it all, we can still have faith that it will because God is Faithful, and He is Good. Have you ever had a bad day? I know I sure have. Most people do. There are some days where everything seems to go wrong. Well, the other night I went to go see Alexander and the Terrible, Horrible, No Good, Very Bad Day. Although the title seems a little over the top, this movie was actually quite good. It struck at something that most people go through in life, at least eventually: a bad day. A day when everything that could go wrong does, and you just have to deal with it. I enjoyed the fact that a lot of the things that went wrong in the plot of this movie were ordinary things, but when piled on top of each other, they turn into something that’s really hard to deal with. (Just like in my own life). I know I’ve had my days where it seemed like I was being overwhelmed with all the little things going wrong. But this movie included a positive message, and I didn’t find it cliche. The message was not “be positive and you’ll automatically get what you want, or everything will work out,” but more like, “stick together through the tough stuff.” Bad days are hard, and your attitude may be able to help, but one of the biggest things that helps is going through it with someone else. Oddly enough, this is also what stuck with me from my church’s sermon on Sunday. Our pastor mentioned the fact that we should have joy in suffering with Jesus, or in joining in His sufferings. I never really understood that before. How is both of us suffering a good thing? Why should I want that? Hasn’t Jesus suffered enough for the both of us? I always took it to mean that Jesus was with me when I was suffering. But then my pastor said, when you suffer together you’re relationship deepens. And it just clicked. Like of course! You have friends that will have fun with you, and stick with you on your good days. But the people who stick with you in the hard stuff, that’s who you’re really close to. And that’s how close I want to be with Jesus. Just like in the movie, the family drew closer together through all the hard stuff. This realization brought to mind another show I had recently rewatched: Band of Brothers. This TV show follows the story of a group of men who served together in WWII and details all that they went through together. Even though it was horrible stuff, it made their relationships supper deep, to where they really felt like brothers; like family. Sorry I haven’t been posting recently. It’s been a busy week at my home with large remodeling projects and a crazy work schedule. However, over the weekend, I had some downtime to relax and decided to try out a new TV show that started this fall. It’s called Forever and follows the adventures of a Dr. Henry Morgan who has the strange condition of not staying dead. he has lived for at least 200 years and every time he dies, he finds himself alive again somewhere in water. The show follows a Sherlock Holmes style crime solving plot line, with the doctor’s having a long history that provides a vast knowledge that few can match, and an eye for catching details. It reminds me of Elementary, another of my favorite shows which will be returning again this fall. But the one thing I really like about this new show is it’s take on life, and the meaning it has. Since the doctor keeps on living, certain things that are normal for the rest of us, have worn off on him. He needs to be reminded of beauty, the importance of relationships, even if they do end, and that things can change and history doesn’t necessarily have to repeat itself. In any case, I’ve found the show to be quite entertaining and I’m interested to see how the season progresses.